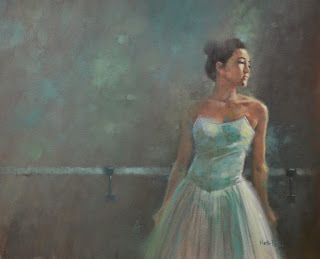 ............Full painting and close up of model Christina K "at the barre". This painting has undergone several major changes since I started it. 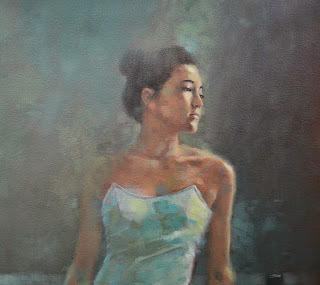 At one time she was next to a window...then a red curtain and finally at the ballet barre. The overall color has changed from warm grays and earth tones to a green cast. 24x30 oil.